Russian President Vladimir Putin has given a series of interviews to renowned film director Oliver Stone, answering the questions on the most controversial issues of modern-day international politics. Talking on a possible military conflict between Russia and the United States, the Russian leader said that no one on Earth would survive it. WASHINGTON (Sputnik) — Putin said in an interview with US film director Oliver Stone that no one would survive if a war began between Russia and the United States. “I think no one would survive [such a conflict],” Putin said answering a question if the United States would be dominant in a “hot war” with Russia. The part of the interview was partially released by the US Showtime TV channel. 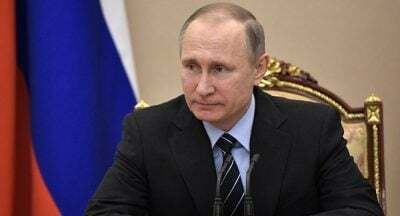 Putin added that the North Atlantic Treaty Organization (NATO) is constantly looking for an enemy to justify its existence. However, Putin said that the hope for normalization of the Russia-US relations still exists. “America has had the election. Donald Trump won. Is there any hope for change?” Stone asked Putin in a part of the interview published on Tuesday. “Hope? There is always hope. Until they are ready to bring us to the cemetery and bury us,” Putin answered. According to the US media reports, as part of the preparations to the interview, Stone and Putin watched the film “Dr. Strangelove or: How I Learned to Stop Worrying and Love the Bomb” of 1964 by the US filmmaker Stanley Kubrick about a nuclear conflict between the United States and the Soviet Union. The Russian leader said in an interview as cited by The Daily Beast news outlet that Kubrick foresaw some contemporary issues from a technical point of view however the idea of a retaliatory weapon had become even more dangerous today with more sophisticated and complex weapons elaborated. Stone gave the DVD with the film to Putin who subsequently found that the case contained no DVD inside and called the move a “typical American gift,” the US media reported. The four-part Putin’s interview is expected to be aired by Showtime on June 12-15.